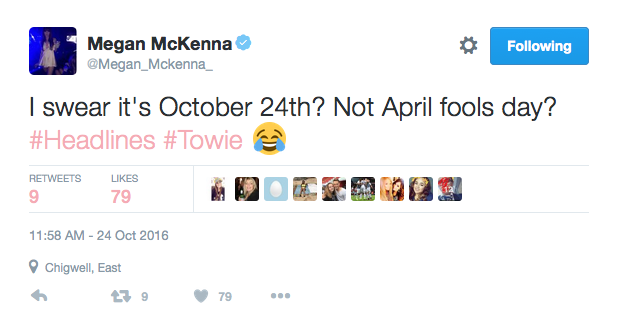 With the emergence of rumours suggesting that Pete Wicks’ ex, Jacqui Ryland, is to join TOWIE, the first thoughts of many were with Megan McKenna. 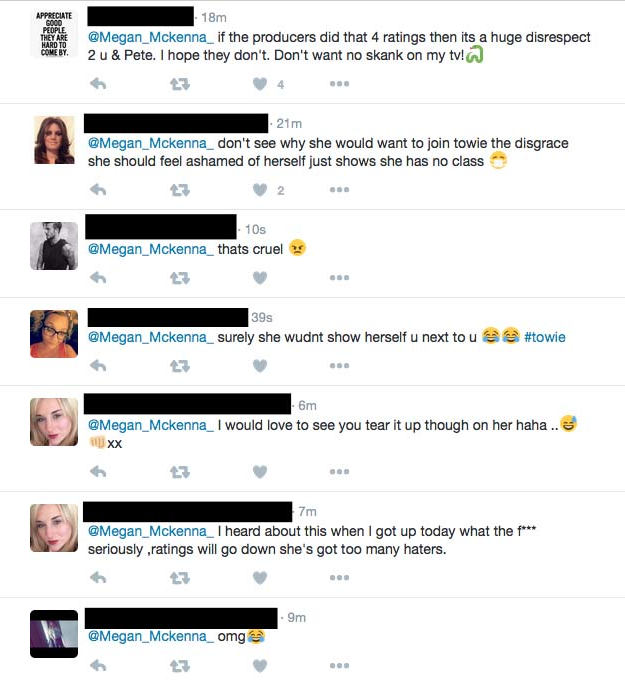 However, it seems as if Megan is not too worried about the situation in the slightest – and she has taken to social media to let her followers know that she’s doing just fine. 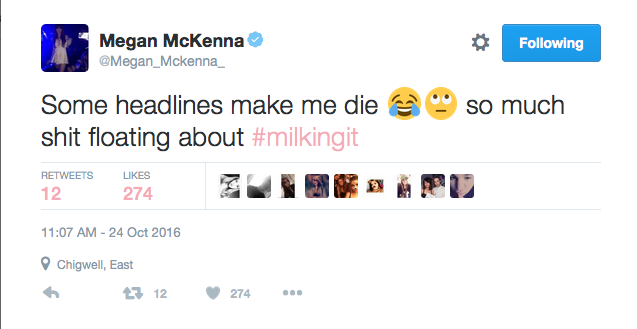 More: Scotty T slams ‘nightmare’ Megan McKenna – eek! On Monday (24th October), it was reported that Jacqui, who exposed that Pete had been sending her inappropriate messages, is allegedly preparing to join the cast, following the success of the fallout on the show. ‘ITV bosses are keen to get Jacqui on the Show after the sexting drama proved a hit with viewers and saw its highest rated episode for over three series,’ a source told The Sun. ‘Some headlines make me die… so much sh*t floating about #milkingit’, wrote Megan sassily, with similarly unbothered ‘crying with laughter’ and ‘rolling eyes’ emojis. And the former Ex On The Beach babe wasn’t done there – as her next tweet further proved that she isn’t giving much thought to the rumours.